Implementing Windows Intune might be for the most of us an ease approach because it is uses commonly used standards like http and https. Nevertheless, in organizations where internet access is controlled using firewall(s) and proxy servers this might be a challenge. Specific services or websites has to be disclosed to work properly. The same applies to Windows Intune. For those who have to implement in such environments where internet access is limited the overview below outlines the required domain and ports in order to let Windows Intune work like a charm. Microsoft announced Windows Azure Virtual Network and Windows Azure Virtual Machines in June 2012 to provide IaaS ‘Hybrid Cloud’ functionality. What this allows is persistent Virtual Machines (which retain the same private addresses) running in Azure that can be joined to your on-premise Active Directory using a site-to-site IPsec VPN. 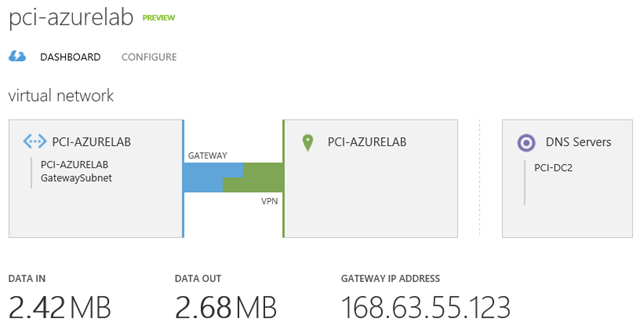 The Azure VMs then act like a branch network with full connectivity and you can add Domain Controllers in the Azure Virtual Network. There some great blog posts available which guiding you through and enables cross-premises connectivity with your on-premise environment and Windows Azure. Microsoft released Rollup 3 for Forefront Threat Management Gateway (TMG) 2010 Service Pack 2. The issues that are fixed in this rollup package are listed in the following articles. To view these issues, click the article number to view the article in the Microsoft Knowledge Base. You can download the Microsoft released Rollup 3 for Forefront Threat Management Gateway (TMG) 2010 Service Pack 2 here. Today Microsoft released an important security update which applies to all versions of Microsoft Forefront Unified Access Gateway (UAG). This security update resolves five privately reported vulnerabilities in Microsoft Forefront Unified Access Gateway (UAG). The most severe of these vulnerabilities could allow remote code execution if a user visits an affected Web site using a specially crafted URL. However, an attacker would have no way to force users to visit such a Web site. Instead, an attacker would have to persuade users to visit the Web site, typically by getting them to click a link in an e-mail message or Instant Messenger message that takes users to the attacker’s Web site. This security update is rated Important for all supported versions of Microsoft Forefront Unified Access Gateway 2010. For more information, see the subsection, Affected and Non-Affected Software, in this section. The security update addresses the vulnerabilities by modifying the way that UAG handles specially crafted requests, modifying the MicrosoftClient.JAR file, and adding exception handling around the null value of the UAG Web server. For more information about the vulnerabilities, see the Frequently Asked Questions (FAQ) subsection for the specific vulnerability entry under the next section, Vulnerability Information.